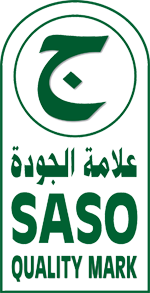 In line with the mission of SASO to elevate the standards and quality of products and services available locally, the Kingdom of Saudi Arabia is strictly monitoring the entry of consumer goods into their ports, ensuring that only products that meet the requirements of local regulations and international standards are allowed into the country. RACS is now officially a Notified Body of SASO authorized to do conformity assessments and issue Certificates of Conformity for regulated products entering the Kingdom of Saudi Arabia. RACS is also authorized by SASO to do evaluation of products and factories of companies applying for license to use the Saudi Quality Mark.